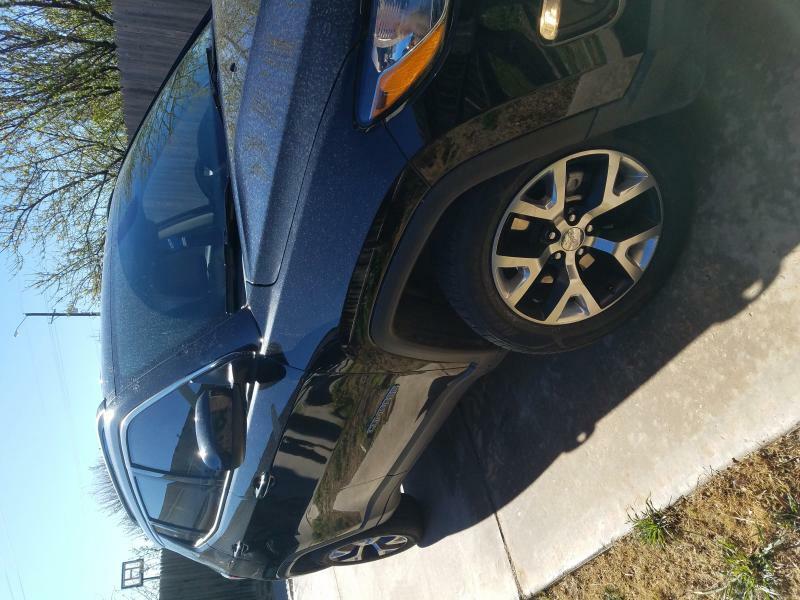 Jeep Compass Forum > Jeep Compass Technical Section > Wheels and Tires Discussion > Trailhawk wheels and tires! I just picked these up yesterday. Tires are still practically new but i want to put some A/T tires on it. I'm anxious to see what yours will look like before i pull the trigger. Are those Grand Cherokee rims? 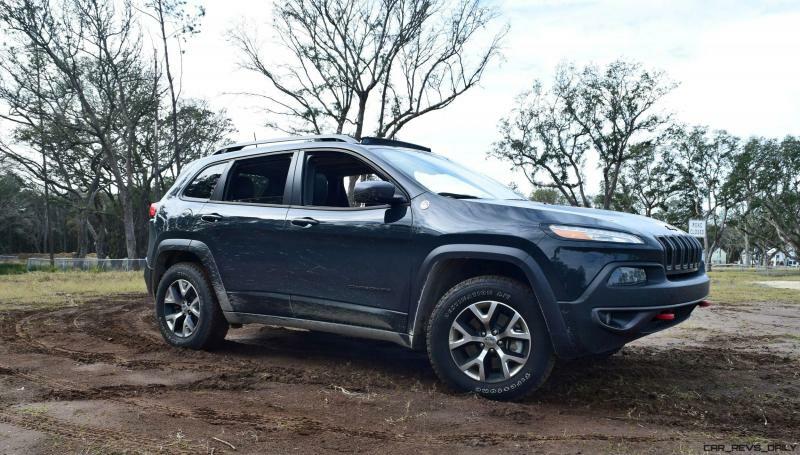 They don't look like the Cherokee Trailhawk ones. 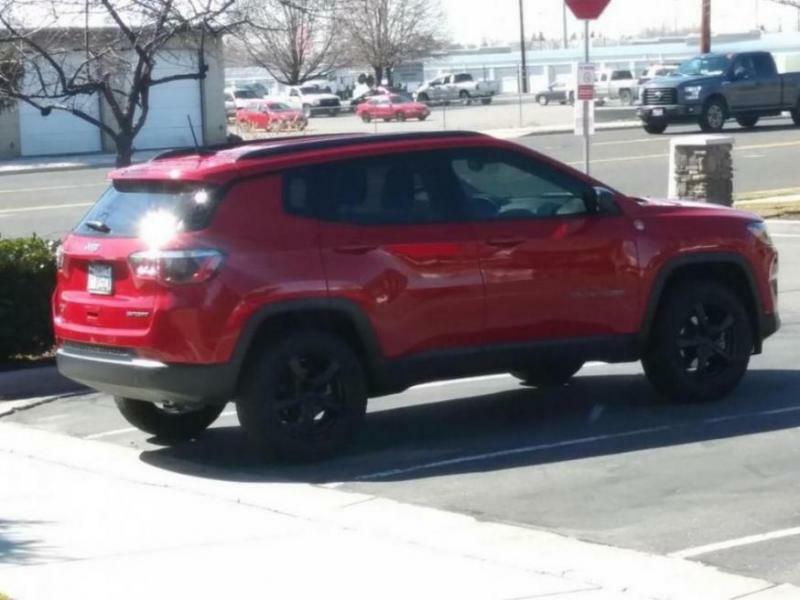 Forgive me me, but the pictures he posted are not KL Cherokee Trailhawk rims. Last edited by jim010; 12-01-2018 at 06:00 PM. yea, no trailhawk wheels. 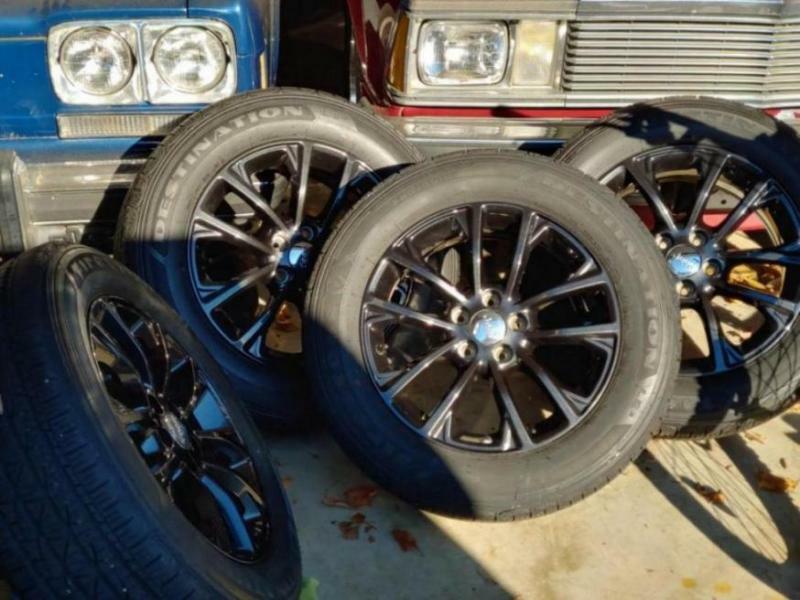 i was looking at the same (or similar) set you got but came across those cherokee wheels for a steal of a deal. my wife really just wanted black wheels so that deal was perfect. Saved myself money in the process and she's content. Last edited by 6door74; 12-01-2018 at 06:35 PM. Anyone else put on the Cherokee Trailhawk rims besides me? Got my Cherokee Trailhawk rims mounted today! Very happy with it. Stock ones were 17 x 7 40mm. This is what my 2018 Compass Sport looks like with the Cooper 235 60R 17 tire on it. It came stock with the 215 65R 16 tire. 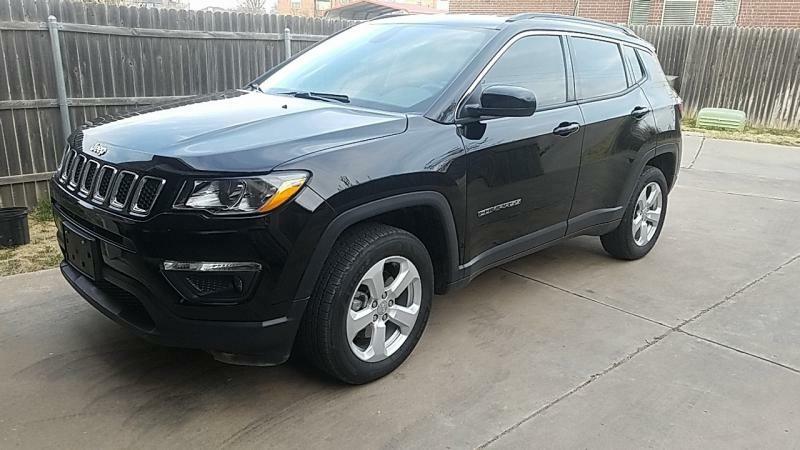 Compass looks sooo much better with those Cherokee Trailhawk rims! I love the 17s that came with my compass but eventually I'm going for 18s and beefier tires. Will this mess up the 4x4 or cpu? Any concerns? Should I keep stock 17s and just throw bigger tires on them instead? Figured I ask this question again, But was anyone able to put on the Cherokee tire size on the trailhawk compass? 245/65R17? What kind of a dealership needs to put on tires and wheels on a car to see the fit or not. And the sad thing is, there are people who trust these guys with fixes and etc. Looks great! Please post some more pics! 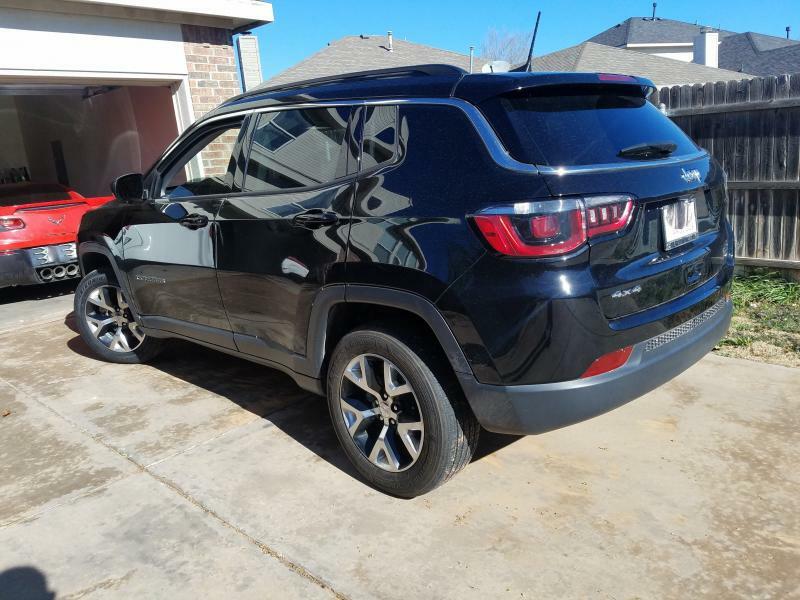 2018 JEEP COMPASS TRAILHAWK. KAR light bar with Cree lights, K&N drop in filter, Pirelli Scorpion AT's, Window Tint 20%, Flowmaster 40 Series Muffler. I have the Compass Trailhawk with the Falkens. Great on the highway but turn to paper mâché on logging roads. Have done 30000km on them. With hiking time coming in BC I am looking for replacement tyres. The Falkens didn't make 50 km on a rocky road before a rock through the middle of the tread. I have put in thousands of km on similar roads with previous jeeps with Goodrich AT and haven't had to use the spare.